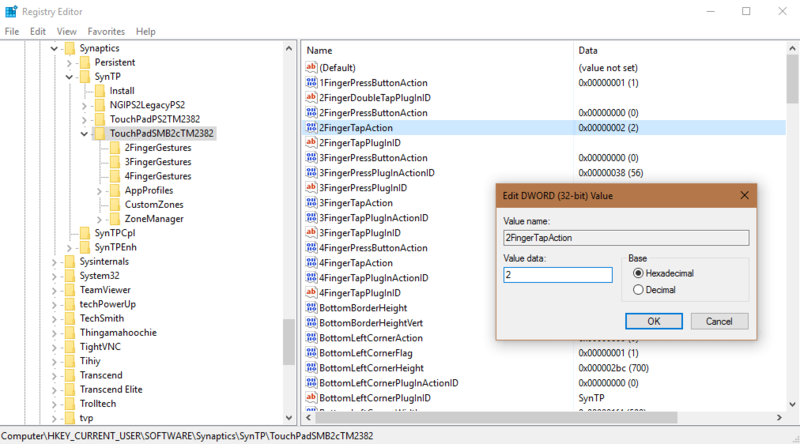 You must have noticed that updated drivers for touchpad don’t have option to enable two finger tap to rightclick. Even if you are not using two finger tap gesture, you should enable it. It’s faster than using physical buttons. This tutorial is for DELL laptops running synaptics touch drivers and Lenovo ElanTech, synaptics drivers. All you have to do is to edit some registry keys. Some of the latest laptops like Dell 5559 already have this gesture enabled, as these laptops don’t use separate driver software. Open Run Win + R and run regedit. We will backup the current registry key for touchpad drivers. In order to make changes in registry key of driver software, we have to kill the it. Ctrl + Shift + Esc It will open task manager from there, End all tasks named Synaptics, ElanTech, Touchpad. Comment down below if you have different drivers, registry keys I will try to help.